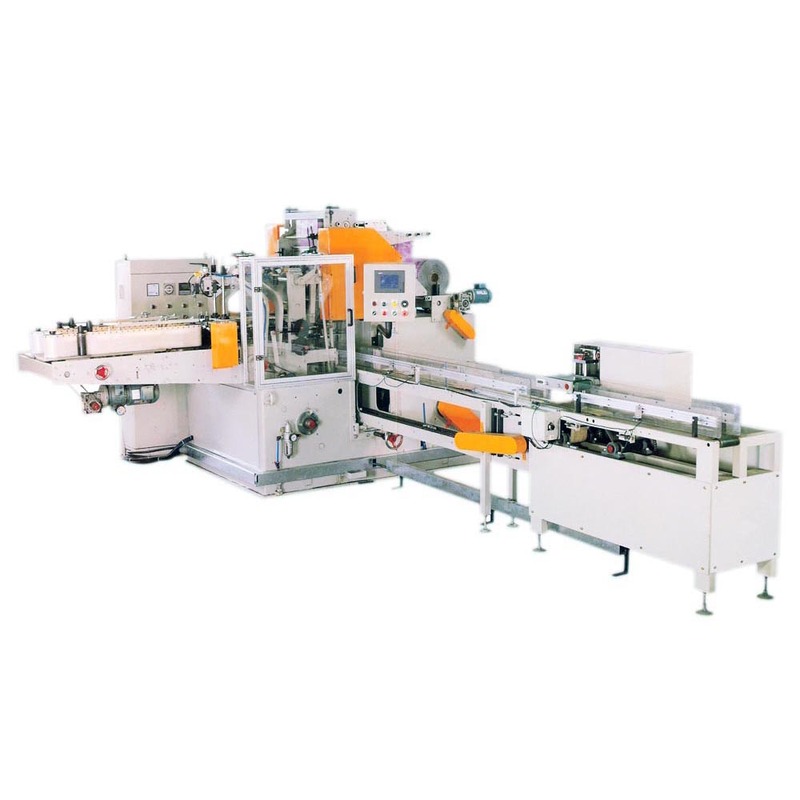 The JY-330P(FN) is a high speed wrapper (70 packs/minute) for folded napkins and facial tissue. It is very accessible for the operator and is designed to attain top product quality with a high level of reliability. The optimization of mechanical parts and the use of brushless motors increases the reliability of the machine and eliminates the need for machine maintenance while reducing changeover time to a minimum. ■Single film transport group: no mechanical adjustments are required for different configurations. ■Touch screen design for convenient operation fast settiting for change the product formats. ■All functions are clearly identified on touch screen, such parameters and self-dingnostic & open ation. ■Film unwinding and cut group with electronic control for increased pack quality and reduced change-over time. ■New profile mobile folders keep the pack in position during the rear and side sealing phase and improve pack quality. ■High quality mechanical parts for main machine movements, lite long lubricated cams, high precision parts, no vibrations, no maintenance required. ■Special design of knife for cutting film keeps low noisy and long service.